In observance of the twenty-eighth session of the United Nations Human Rights Council (UNHRC), Consorcio for Dialogue and Equity Oaxaca (Consorcio Oaxaca), the Campesino Organization of the Southern Sierra, and the Mexican Commission for the Defense and Promotion of Human Rights (CMDPDH) denounced the climate of hostility and violence in which they carry out their work in defense of human rights in Mexico. 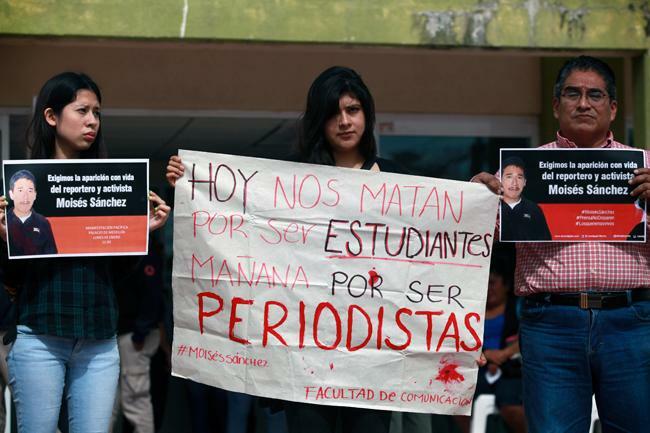 “We are here to denounce that the Mexican government is failing to protect human-rights defenders,” noted Yésica Sánchez, director of Consorcio Oaxaca. For her part, Norma Mesino, a member of the Campesino Organization of the Southern Sierra (OCSS), indicated that the goal of the visit was to raise awareness about “the Mexican government denies us the right to justice” as female human-rights defenders. In her case, the precautionary measures needed to protect her life were only granted after being ordered by the Inter-American Commission on Human Rights (IACHR). “We want the international community to focus itself on Mexico and demand that the government observe human rights,” she added. 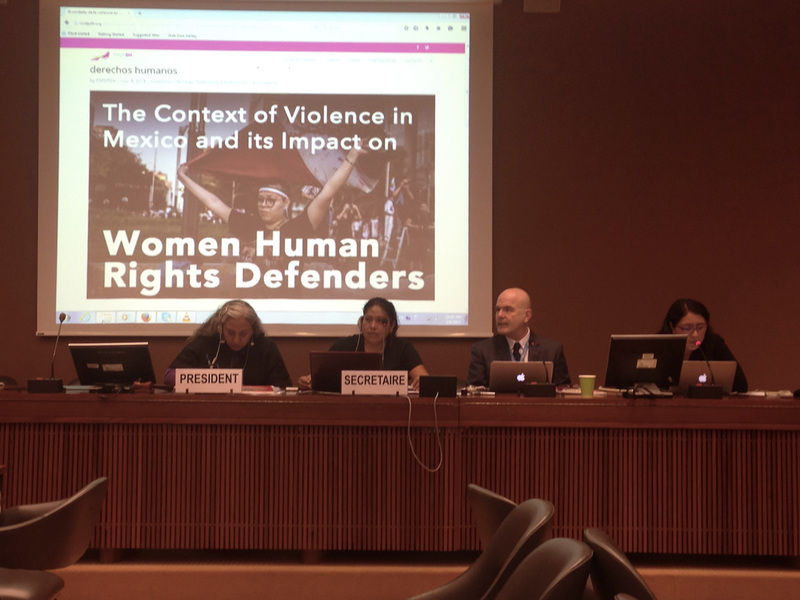 These defenders participated together with the UN Special Rapporteur on human-rights defenders during the event, and the CMDPDH campaign called “#MakeThemVisible” was launched, toward the end of sharing the life-stories of 40 female human-rights defenders in Mexico. Beyond this, in San Cristóbal de Las Casas, Chiapas, the report “We Are All Female Rights-Defenders” wa presented. This provides a national diagnostic regarding the situation of attacks on female human-rights defenders and the type of violence they have suffered–in the majority of cases, at the hands of State agents.